From what we see in the crystal ball …..
A round up of the technologies and trends that are well placed to set the agenda in 2013. We already know what one of 2013's key business stories will be: the launch of Office 2013 in Q1. It isn't just a facelift; it's a major revamp of the software that introduces a vastly improved user interface, more efficient workflow and cloud storage. Office 2013 embodies several key trends that will shape 2013: it's designed for touch as well as keyboard and mouse input, enabling it to run on tablets and hybrids as well as PCs; it's available as a subscription service as well as a stand-alone product; it will run Office apps; and when you're away from base you'll be able to use Office Web Apps in a browser to access your data. In 2013, business computing will come in more shapes and sizes than ever before. In addition to familiar laptops we'll see Windows 8 tablets (and Windows RT ones, although Microsoft's tablet-focused operating system is not designed for business users) and hybrid devices that transform from one form factor to another. Microsoft isn't the only firm in this changing market, of course. Apple started the tablet frenzy with its original iPad, and Google has made an aggressive play with its robust and well priced Nexus tablets. New iPads, retina display iPad minis and Nexus tablets are all coming, and they're likely to accelerate demand for BYOD (bring your own device) policies. The latest version of Android is more business-friendly than before, but it remains a consumer focused operating system, and for businesses iOS may well have the edge here. Can BlackBerry regain its crown? BYOD applies as much to smartphones as to tablets, of course, and Android and Apple devices have supplanted the BlackBerry in many businesses. BlackBerry creator RIM is hoping that its delayed BB10 operating system, now due in January, will reignite interest in and sales of its devices, but after months of declining market share the odds of a Lazarus style resurrection are not good. In 2013 the smartphone winners are likely to be Android and Apple, with Windows Phone a distant third. NFC: still 'no flipping customers'? Apple was widely expected to put near field communication chips in its iPhone 5, but the world's favourite phone remains NFC-free – and at the beginning 2013 the technology looks a lot like it did at the beginning of 2012, with many businesses waiting until a return on investment is apparent. NFC is currently gaining traction in device-to-device sharing, such as Android smartphones swapping data, Google is expected to bring Google Wallet to the UK in 2013 and Transport for London hopes to add NFC readers to its buses by the end of the year. But in the payment arena, NFC is being challenged by smartphone apps using barcode scanning, and by rival technologies such as Square's card readers. One of the most significant changes expected for 2013 will follow the 4G mobile spectrum auction, which will enable all the major networks to offer 4G mobile broadband. As 2013 begins 4G is only available from Everything Everywhere in a few cities, but by the end of the year most large urban areas should have exceptionally fast mobile coverage. 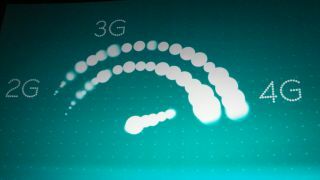 4G promises faster data transfer, about four times the speed of 3G, and it is more robust, promising more reliable mobile data connections. The combination of powerful mobile devices and reliable, fast mobile networks paves the way for what analysts call "the third platform" (the first two were mainframes and networked PCs). A combination of mobility, cloud computing, social media and big data analysis, the third platform relies on cloud based services running on mobile devices. The move to this third platform will provide security headaches for firms. It is difficult to keep company data secure as users access multiple networks, many of them public and potentially compromised, especially if users are also installing apps that might contain malware. According to Symantec, where devices go, attackers will follow: as more firms deploy cloud and mobile technology, "the opportunities for an attack will also continue to increase; therefore, it is essential for [organisations] to adopt a defence-in-depth strategy in order to maintain their security posture".